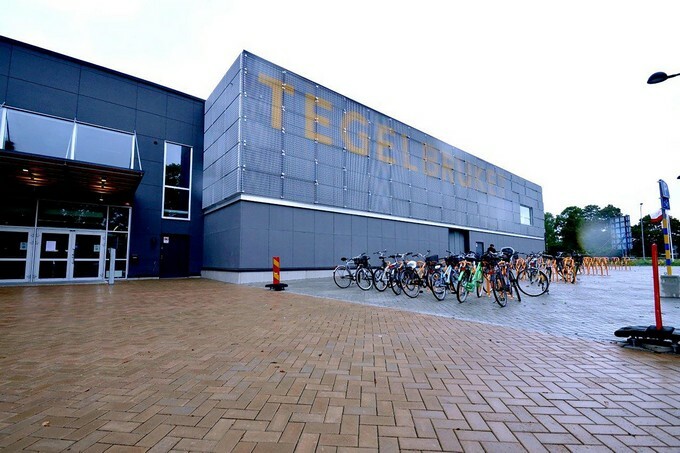 Tegelbruket is an activity center in Örebro with a focus on youth and young adults. The activities are sports, culture and learning. The customer wanted a modern, neat floor easy to maintain. 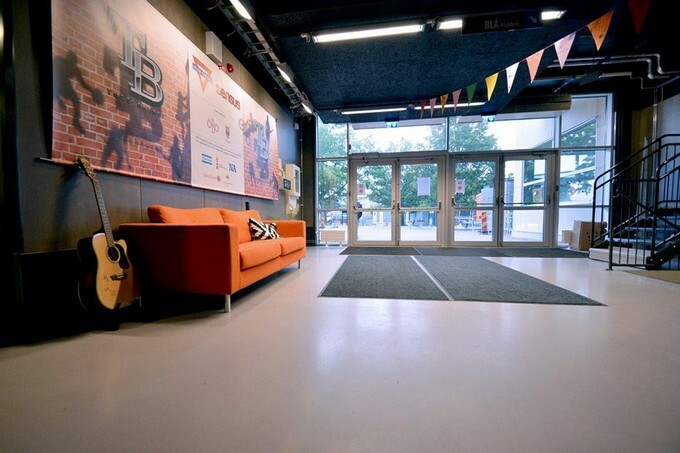 It was also important that it fitted in with the special architecture of the building. 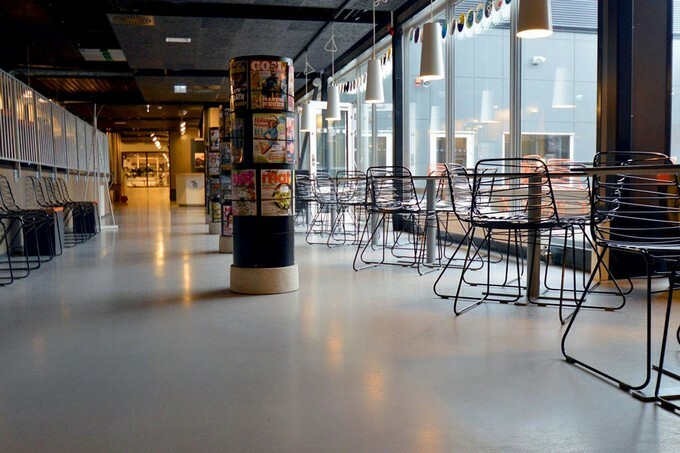 The public areas in Tegelbruket and restaurant / cafe is made with a durable Weber Design Floor in a nice warm grey color.